Selection may vary; see a sales assistant for available models. Some bands are sold separately. 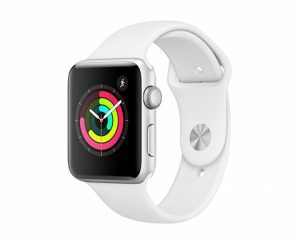 Apple Watch Series 3 (GPS) requires an iPhone 5s or later with iOS 11 or later. 1Apple Music requires a subscription. Selection may vary; see a sales assistant for available models. Some bands are sold separately. Apple Watch Series 3 (GPS + Cellular) requires an iPhone 6 or later with iOS 11 or later. 1Carrier plan is required for mobile service. Apple Watch and iPhone service provider must be the same. Not available with all service providers. Not all service providers support corporate plans; check with your employer and service provider. Legacy plans may not be compatible. Prepaid plans are not supported. Coverage is dependent on your carrier’s network. Roaming is not available outside your carrier’s network coverage area. Contact your service provider for more details. Check www.apple.com/au/watch/cellular for participating carriers and eligibility. 2Apple Music requires a subscription. Selection may vary; see a sales assistant for available models. Some bands are sold separately. Apple Watch Series 4 (GPS) requires an iPhone 5s or later with iOS 12 or later. 1Apple Music requires a subscription. 2Compared with the previous generation. 3ISO standard 22810:2010. Appropriate for shallow-water activities like swimming. Submersion below a shallow depth and high-velocity water activities are not recommended. Selection may vary; see a sales assistant for available models. Some bands are sold separately. 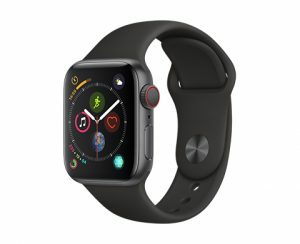 Apple Watch Series 4 (GPS + Cellular) requires an iPhone 6 or later with iOS 12 or later. 1Carrier plan is required for mobile service. Apple Watch and iPhone service provider must be the same. Not available with all service providers. Not all service providers support corporate plans; check with your employer and service provider. Legacy plans may not be compatible. Prepaid plans are not supported. Coverage is dependent on your carrier’s network. Roaming is not available outside your carrier’s network coverage area. Contact your service provider for more details. Check www.apple.com/au/watch/cellular for participating carriers and eligibility. 2Apple Music requires a subscription. 3Compared with the previous generation. 4ISO standard 22810:2010. Appropriate for shallow-water activities like swimming. Submersion below a shallow depth and high-velocity water activities are not recommended.